A well designed, solid Cottage Latch which is made completely from steel, including the bar and keeps, which makes it the only one in the country to be made like this. 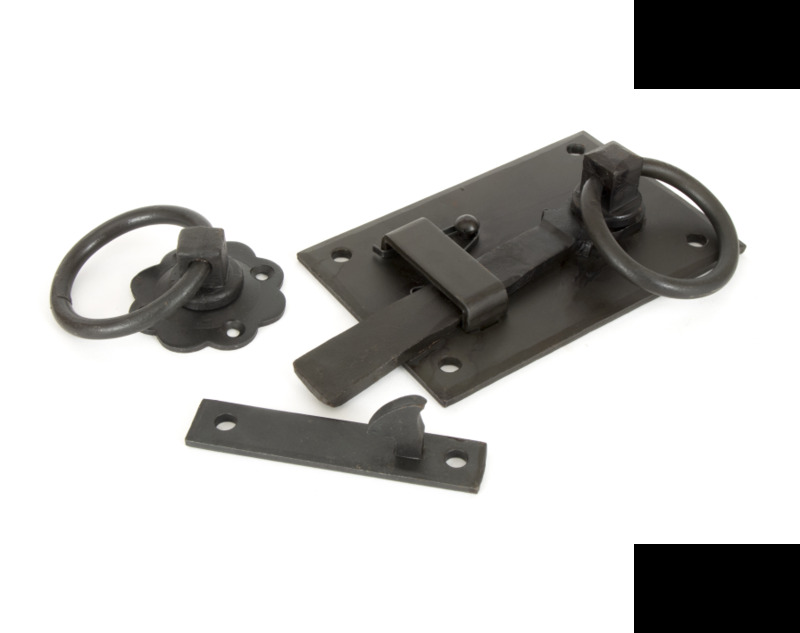 This comes complete as a latch for one side of your door/gate and a ring turn handle on rosette for the other side. Ideally this product should be used internally or in a sheltered area due to the Beeswax finish (see product finishes or maintenance). Supplied with an 8mm spindle which allows use on doors up to a thickness of 70mm.